If you link to them, please link to this page or the original tutorial page, and not directly to the printable file. Please print them only for personal not-for-profit use. Using them for school, church, scouting, or other crafty group activities is fine as long as no money is exchanged for the event. Please do not redistribute or republish these printables. Direct anyone who wants to use them to Dollar Store Crafts. Have smartphone and social media freaks in your family? Tell them to keep their phones in their pockets during family dinner with this free 8×10 printable. Whether you are planning Christmas dinner for your immediate family or you’re entertaining a party of 100, favor boxes of candy or small gifts are a fun addition to your place settings. 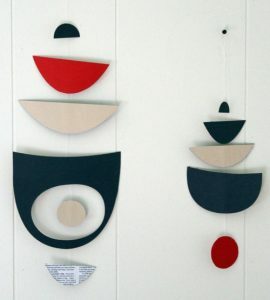 This mobile is a great way to bring some mid-century modern into your home for less than a buck. Yep! I said a buck. In fact, if you work from materials in your stash, or your recycling bin, your only expense will be the two pennies you use to weigh the mobiles down. 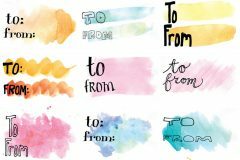 Using my template, you can create a custom banner that says ANYTHING and comes in any color or pattern you can imagine. Simply cut out individual letters and attach them together with brads. 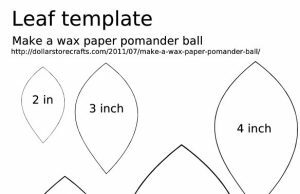 If you think you’ll use these templates a lot, cut them out of cardstock or laminate the paper before you cut them so you can use them again and again. Make old timey tins with custom stencils from stuff from your dollar store! 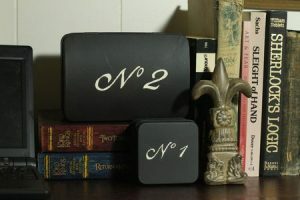 I saw tins like these at a certain design retailer whose initials are PB, and I knew I could make them for a dollar or less. I found the “No. 2” tin at the dollar store in the gift wrap section (it was formerly pink and flowery), and I had the square tin on hand, left over from a Christmas stocking goodie. You probably have tins that will work already (those metal Band-Aid boxes, anyone? Altoids tins? Cookie tins? ), but if not, you can find plenty of interesting tins at the dollar store. This printable calendar can be made for about $4 with iron-on transfer paper and a couple of dollar store tea towels. 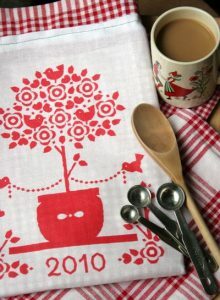 It’s a simple idea for hostess gifts, teacher gifts, and gifts for friends, neighbors, mothers, or anyone else who would appreciate a pretty folk art-inspired tea towel calendar. 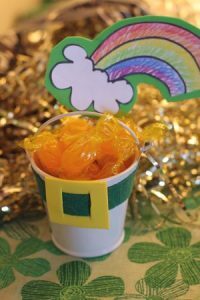 Here’s a quick and simple favor for St. Patrick’s Day, using stuff from the dollar store. 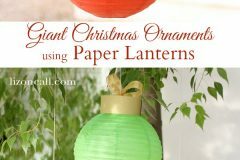 You can make one of these for less than fifty cents. I made this with the little metal buckets from the wedding aisle at Dollar Tree. Other ideas for this printable: Make a floral pick to stick in a St. Patrick’s Day plant. Your site is wonderful. 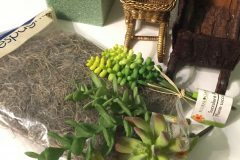 Thanks for sharing so many great ideas for creating on a budget. I clicked on the “Printable Tea Towel Calendar” and there was nothing there. did I miss it?? @Barb, did you click on the links below the photos? I just updated the photos to take you to the PDFs, but the links are also directly below them. 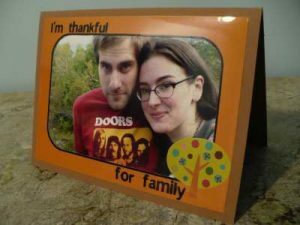 I found your site by accident looking for a stained glass craft. It is by far, today, my absolutely favorite find of the day! I call these type of moments, “kisses from God”. You are so clever! I always had a weird idea to have a superstar designer design my dream home with only items from the dollar store. You shame me with your goodness and fantastic ideas. I’m so glad to have found you. My personal motto is “poverty breeds ingenuity” You rock. Thanks for what you do to make so many people smile and have their own, awesome ah-ha moments! Do you plan an update for 2012 for the tea towel calendar? 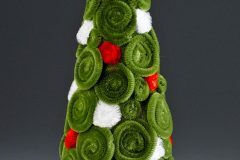 I would love to make some for Christmas gifts. Love your blog, Thanks! 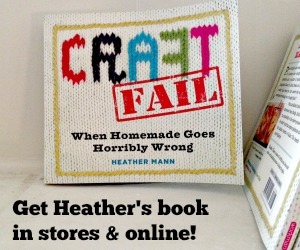 @Susan D., Yes, look for the updated printable this week! Do you or anyone else have any idea on something to make out of used “flavor Enhancer” bottles.?? Like Mio They are too cute to throw out…but I haven’t seen anything on the net yet using these. I have the printable for the mini matchbox covers, but not for the large ones that were featured in Country Living.